The Duchess of Sussex gave us another maternity fashion masterclass last night at the Endeavour Fund Awards, teaming a classic white shirt and high-waisted black maxi skirt by Givenchy with a pair of statement high heels. With this outfit, Meghan, who is expecting her first child with Prince Harry this spring, once again found a way to take a timeless classic – the white shirt – and give it a fresh, modern update. 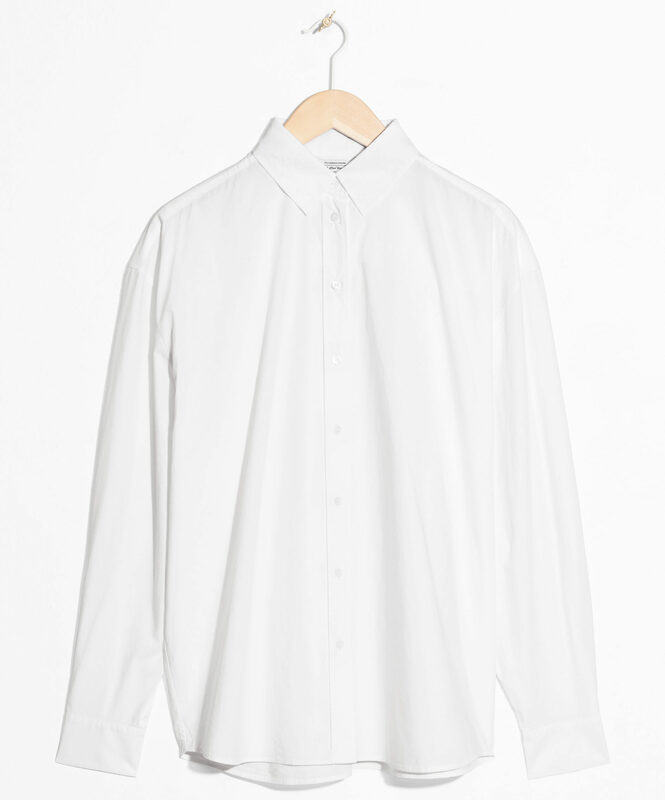 It got us thinking, while sport luxe and fluid minimalism have dominated fashion in recent years, isn’t it time the crisp cotton shirt made a comeback? A true style staple, the white shirt never really goes out of fashion, but if you haven’t worn one in a while (or you’ve never owned one) you’ll be needing some inspiration – well, we’re here to help, with outfit ideas from some very stylish celebs. 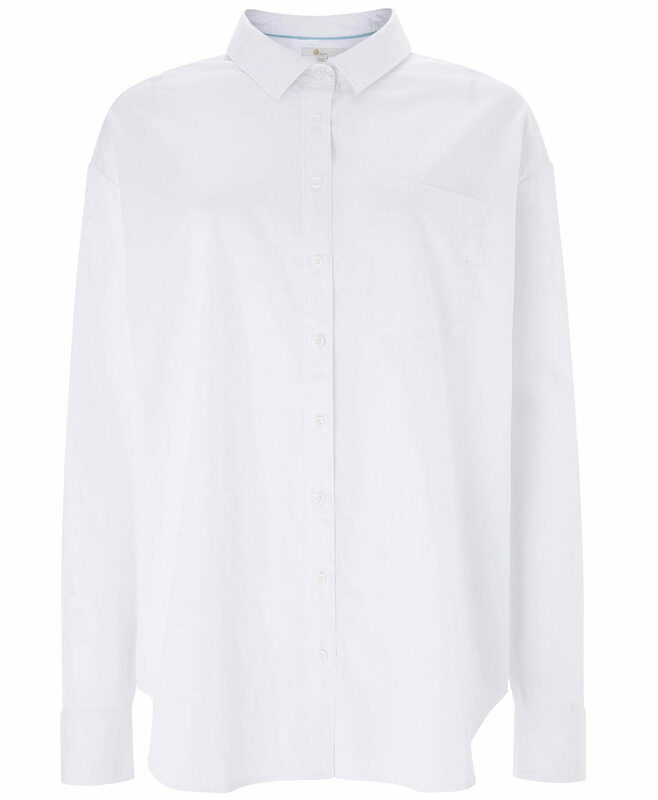 But first, where to get your perfect white shirt? Brands that excel in high quality basics are your best bet. 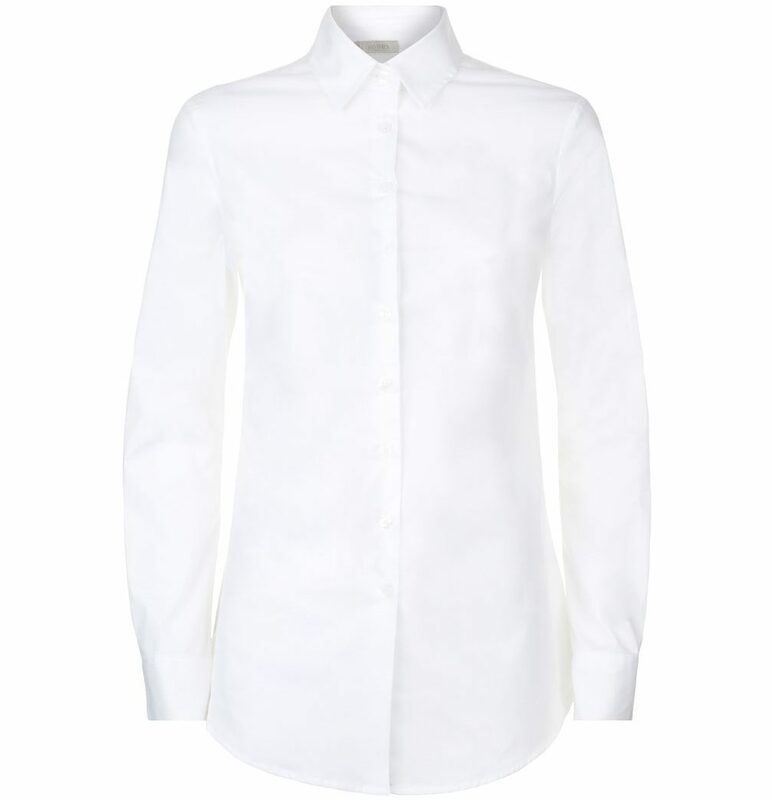 It’s got to be cotton and you want to go for a loose, mannish cut – if necessary buy one size up. Here are our three top picks from Hobbs, & Other Stories and Boden. Similar to Meghan’s outfit last night, Emma Watson rocked the white shirt and maxi skirt combo in a typical Ralph Lauren ensemble at a charity event at Windsor Castle. The key to making this look work? It’s got to be a high waisted skirt to create a sleek, leg-lengthening silhouette – and don’t forget to pop that collar. When you think about it, Angelina Jolie and the Duchess of Sussex are very similar in terms of their personal style, favouring monochrome fitted frocks, neutral hues and lots of tailoring. Case in point? It doesn’t get much more classic than this white shirt and tuxedo ensemble that Jolie chose for the 2014 Baftas, and Meghan wore an almost identical Alexander McQueen suit last year. Alexa Chung has always been a fan of a mannish white shirt so it’s no surprise that the model-turned-designer chose one to take a bow at her brand’s first ever London Fashion Week show last year. The 35-year-old showed off her signature cool but quirky style, teaming the bib front shirt with an elegant pencil skirt and vintage style stilettos. It’s not easy to pull off an all-white look but Victoria Beckham did it last month, wearing a whole look straight out of her pre-spring collection. Pairing a loose ivory shirt with off-white wide-leg trousers, it helped that the designer added a pop of colour with a skinny red belt and clutch bag. Well played, VB.